Combining film and business. Ah, yes, the dream of anyone who’s ever picked up a camera and wanted to make a living with it. If you’ve ever dreamed of starting your own production company, then we have the guide for you! In today’s article, I’m going to walk you through how to start a production company from the ground up. There’s no denying video content is the way forward and has been an integral part of modern-day digital society for several years. If you’ve decided to start your own film production company, it’s safe to say there’s never been a better time to do so. 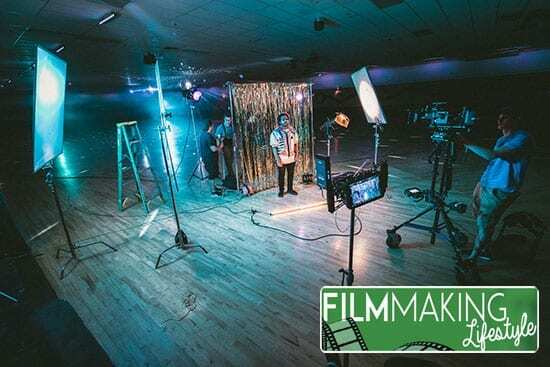 However, for many aspiring filmmakers and entrepreneurs, starting a film company can come across as a mammoth task, and it’s difficult to know where to begin. There are so many elements involved and so many different things to consider. It can quickly become overwhelming. Nevertheless, today we aim to put any fears you have to rest and will help to guide you through the process step-by-step. We’re going to explore everything from start to finish, detailing what you need to know to get your film production company off the ground and into the thriving position you’re dreaming of being. Note here, that we want to make a distinction between starting a film production company and starting a video production company. There are similarities and overlap, but we’ll be concentrating on starting a film production company in this article. The absolute first step you need to take is defining the vision of your company and which direction you want to take. 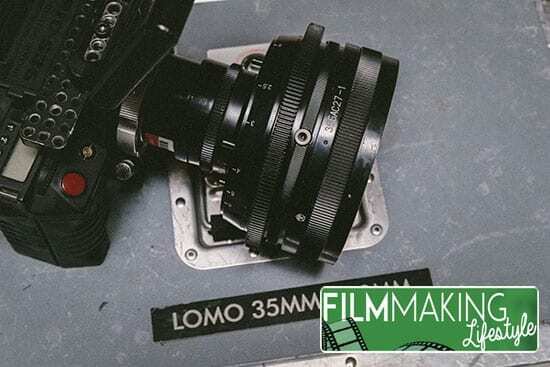 The term ‘film production company’ is a broad term, so it’s important to make sure you know what kind of film production you’re going to work on. Are you going to produce commercial content for other companies? 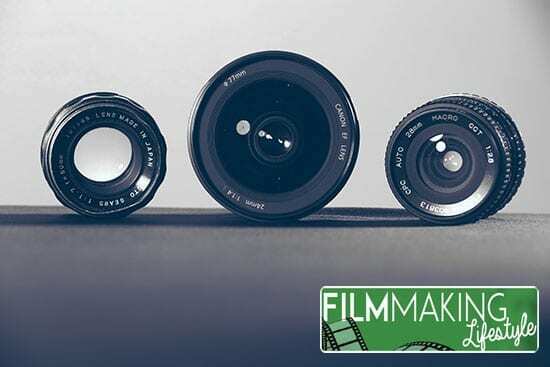 Are you planning to create short films or even feature-length films? What kind of genre of film (or video) are you going to specialise in? Are you going to offer outsourcing services to larger production companies, or independent companies? Whatever route you decide to take, the more information you can brainstorm at this point and the more precise you can be, the better off you’ll be in the long-term. Craft your company’s identity early on, and everything decision you make will be with this image in mind, helping you with both branding and making the decisions that are right for you. Top Tip: A great way to define your vision is to write down three key values your business is going to have, a core mission statement, and a one-sentence paragraph that sums up your company and what you want to achieve. When organising your film production company, the way you present yourself is your branding, which is so essential in the eyes of your viewers, investors, and partners. For example, Warner Bros have a defined image, and with many of the films they release, you know what to expect. This is true with Marvel, DC, and even specific directors, such as Christopher Nolan and Alejandro González Iñárritu. This part of the process also means thinking up a name that suits your branding and creates the image that people will soon understand what to expect from you. The tone of voice of your company. The way you communicate with partners, suppliers and clients. This is where things start to get complicated, and the majority of film production companies will either give up or find it impossible to overcome the challenges. Be mindful here. Of course, a production company is only ever going to be as good as the people working within in and fulfilling every role you need. In a film production company, there are plenty of roles that need to be filled, which of course will depend on your budget (more on that below). The way to approach this is to single out the key roles you’ll need to start actually producing films and to help you set up your business and stick with these. It can be incredibly tempting to go all out and try and build a company that has everyone you’ll ever need from the word ‘go’, such as writers, camera operators, and editors. However, firstly, the chances are you won’t be able to pay them all. And, secondly, you won’t know if the team is one who will work well together and bring out each other’s strengths. 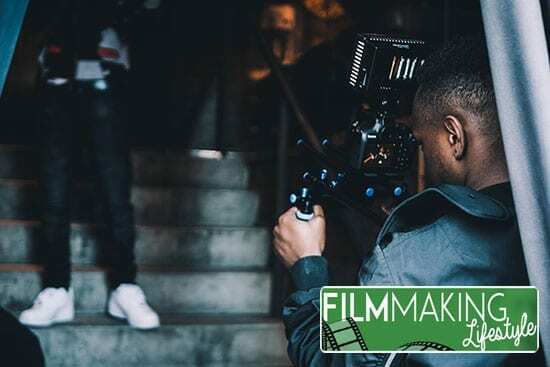 If you’re a group of friends who are starting their own company, it’s probably safe to say you’ve got some interest in filmmaking yourself and probably have some of the skills you need. If you can write the films, shoot them, edit them, and promote them, this is basically everything you need to get off the ground. The idea here is to get as creative as possible. Top Tip: There’s no need to rush when building your company. Take things slow. Experiment with specific roles and try and learn the skills you need to get the job done. In theory, you could start a film production company with just one person who does everything. Of course, this would be a lot of work, but if that person is willing to make it happen and is willing to put the work in, there’s no reason why it wouldn’t work. Whether you’re a solo venture or a group of friends or partners working together, plan to build up slowly and steadily. If you need people for individual projects, look into hiring people on a freelance or per-project basis. We’ve covered this in countless articles around the site. Form partnerships with other production companies to outsource certain tasks to make things more manageable and to get more traction on certain projects, if required. At the end of the day, people are going to judge and rate your film company based on the films you’re producing, so make sure you’re focusing on the level of creative content and the cinematics you’re creating. Money is always going to be a key concern when starting any business, especially a film production company because so much can be spent on staff and equipment. When is it not? This is why this is the area you need to start focusing on. As a rule of thumb, make a list of everything you need, including hardware and equipment, as the bare minimum to get you off the ground. In some cases, you may even just need a camera and editing equipment, and that’s it. If you want to start that small and you’re making short films, uploading these shorts to YouTube or Vimeo can be a great way to get started at minimal cost. Filmmaking is not a job but a social responsibility for me – Garth Davis. However, if you’re going straight into producing commercial-quality advertisements and features, you’re going to need a little bit extra to get you started. Fortunately, there are multiple ways you can approach this. You can start by saving up your own money from your previous job, or perhaps the savings you have in your personal account. If you’re starting your company with friends or partners, you could agree to invest a set percentage of the total needed and split the business equally. Alternatively, you can create a business plan and financial forecast and then attract investors or acquire a bank loan. This can be an ideal way to get a large sum of money to invest quickly, but you’ll need to remember you’ll need to pay it back, and the risk of not being able to pay it back can be dangerous. The final thing you’ll want to think about after everything is set up and you’re ready to go is sourcing clients who are going to employ you and actually pay you. Of course, if you’re making films for yourself, this may not be a primary concern, but if you want to get paid from a traditional video production company standpoint, it’s essential. There are plenty of ways to go about this, but you need to take everything you’ve learned and then define your ideal client. Who is your perfect client or audience? That’s a great starting point. Perhaps, again using the video production company model as an example, you’re making wedding films in a particular style for newly-wed couples and chronicling their special day. Maybe you’re producing commercials for small businesses in your local area, or perhaps you’re recording concerts and gigs for bands and venues. As you can see, these are all wildly different clients with varying expectations and requirements for their projects. Take your time to think about who your ideal client is and what they want. Now, through your website and your social media pages, newsletter, or ad copy, you need to make sure you’re appealing to this ideal client and, within your ad, you’re simply ticking the boxes for everything they’re looking for. You’ll need to think about this when writing a successful client proposal. This will take a certain degree of trial and error, but once you start getting it right, you’ll start to see the clients come flooding in. It’s important to make sure you’re not working with clients who don’t fit the bill and suit your business. It can be tempting, especially if they’re offering money to work with you. But if you’re unable to provide the work they’re looking for, you’ll end up with poor testimonials and reviews which can damage the reputation of your business down the line. This is just scratching the surface of everything you need to do when it comes to starting your own film production company. And, of course, we cover many of these pointers (and more) in other articles around the site. However, it’s important to remember that your film company will walk its own path and its own direction, and what works for one company, might not work for yours. It’s important to look around for examples and production companies to compare yourself against. Just always remember that there are many variables and what works in one market might not necessarily work in yours. However, as a rule of thumb, make sure you’re starting small and growing steadily. Even the mightiest tree needs strong roots to hold it into the ground, and it’s the same with your business. Pace yourself, be mindful and level-headed with the decisions you’re making, and you’ll have a thriving film production company before you know it! We hope this article on how to start a production company has given you a launching point in starting and growing your own production company. As always, any questions, comments and thoughts, drop them in the comments section just below here. What are your tips for how to start a production company? We’d love to hear them. Use the comment section below to add your voice. And if you are looking for regular tips and strategies for starting and growing your production company, subscribe to my newsletter for my eBook guide on getting your first clients. Just enter your details below – you’ll be glad you did!